Dr. Jordan is Associate Professor and Program Director of the Diagnostic Radiology Residency and Undergraduate Medical Education Drector. Her principal area of interest and expertise is breast imaging with special interests in radiologic-pathologic correlation and radiology education. 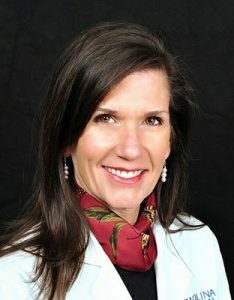 She is active in numerous radiology societies, including the American College of Radiology (ACR), the Radiological Society of North America (RSNA), the Association of University Radiologists (AUR), the Association of Program Directors in Radiology (APDR), the Alliance of Directors and Vice Chairs of Education in Radiology (ADVICER), and the North Carolina Radiological Society (NCRS). She is honored to serve the School of Medicine as an officer of the Medical Alumni Council, and as member of the Student Progress, TEC Foundations Phase, TEC Applications Phase, TEC Individualization Phase, and National Loyalty committees. Dr. Jordan has been recognized as an exceptional educator of medical students, radiology residents, and practicing radiologists. She is a 2016-2021 fellow of the University of North Carolina School of Medicine Academy of Educators, a 2016 graduate of the University of North Carolina School of Medicine Teaching Scholars Program, the 2016 recipient of the Department of Radiology’s Charles A. Bream Teaching Award, a 2017 recipient of the SOM Academy of Educators Travel Grant Award, a 2017 inductee into the Alpha Omega Alpha Honor Medical Society, and a newly named Deputy Chief Editor of RadExam. Since 2013, she has received highest marks as course director and lecturer at the annual NC ACR Breast Imaging continuing medical education course. Thank you for your interest in supporting the Department of Radiology!